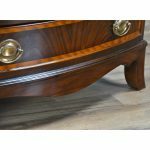 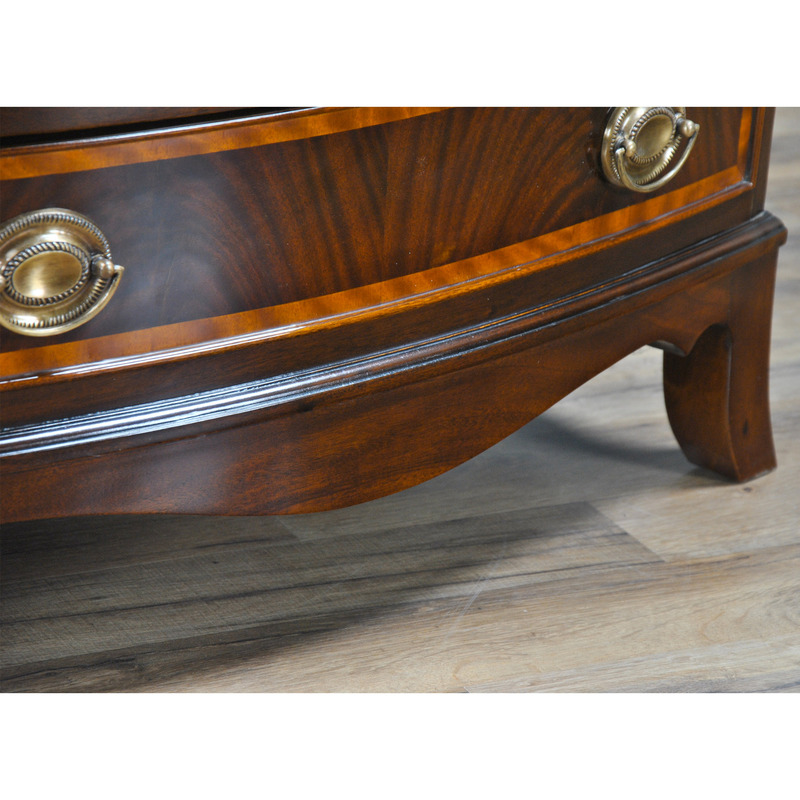 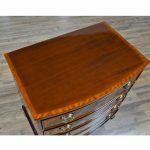 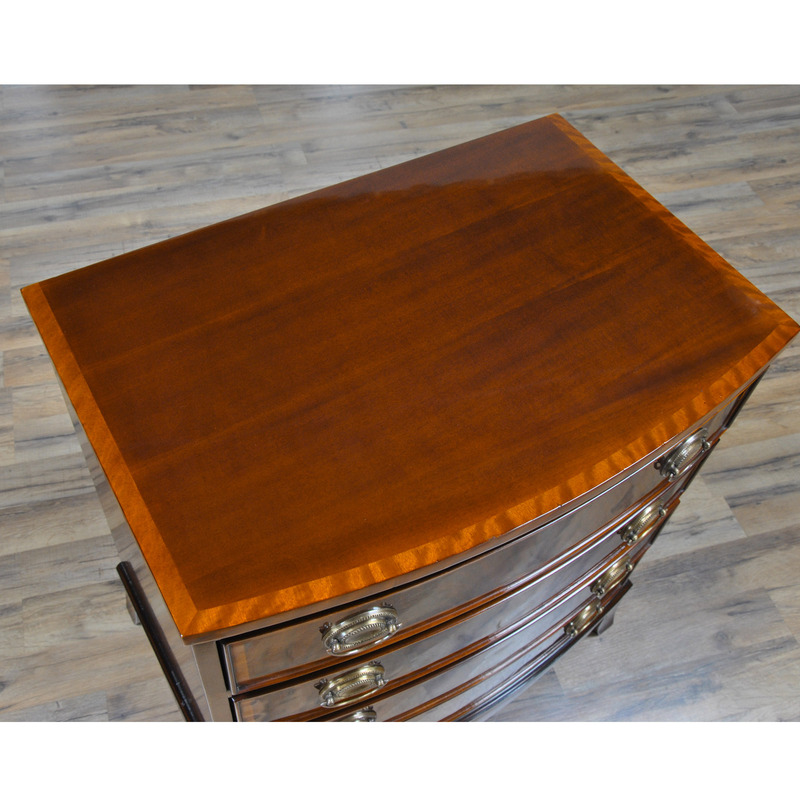 This Banded Mahogany Bowfront Chest from Niagara Furniture expresses great taste in design from the tastefully tapered legs on the floor to the finely shaped and veneer banded drawer fronts on the front and top. 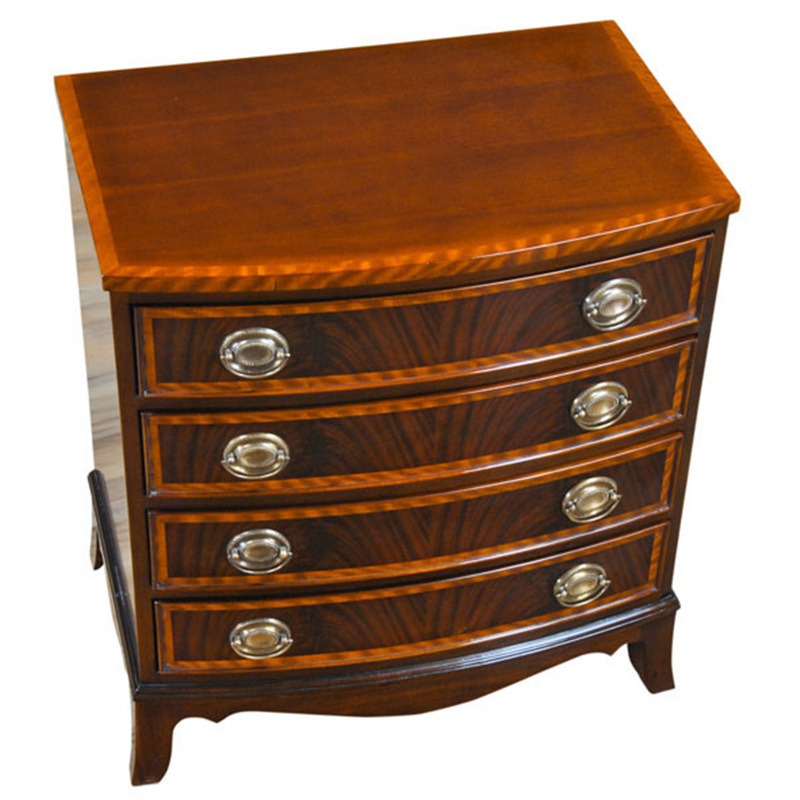 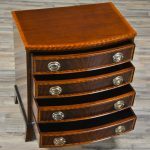 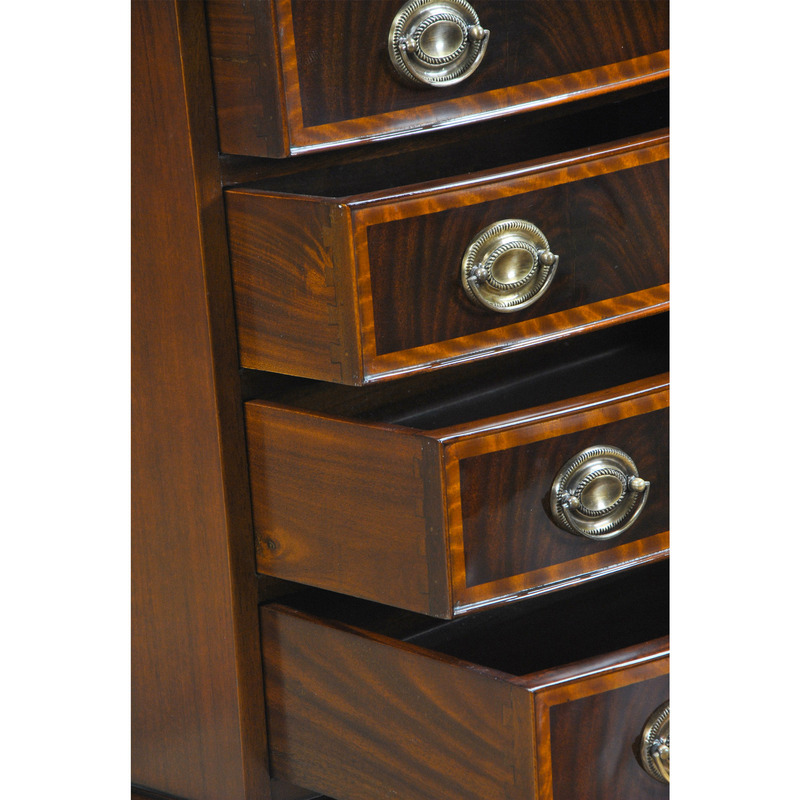 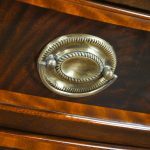 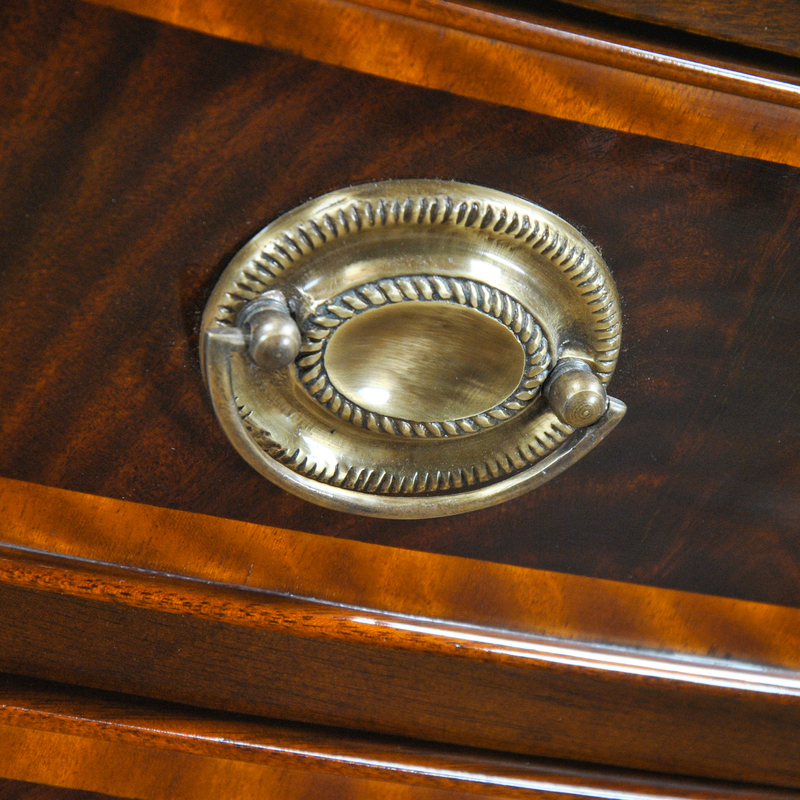 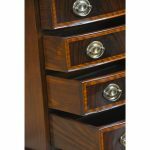 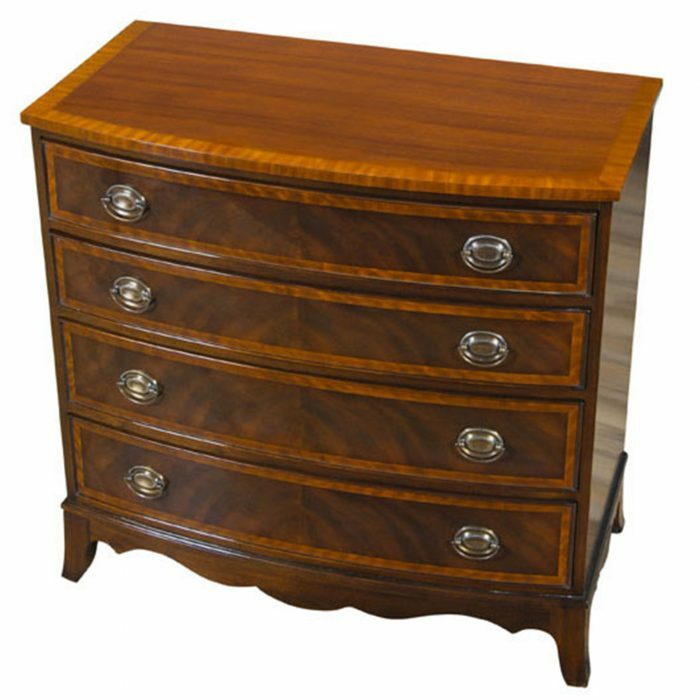 Graduated drawers, great mahogany and satinwood veneers and mahogany solids work together to make a wonderful addition to your bedside, desk, sofa. 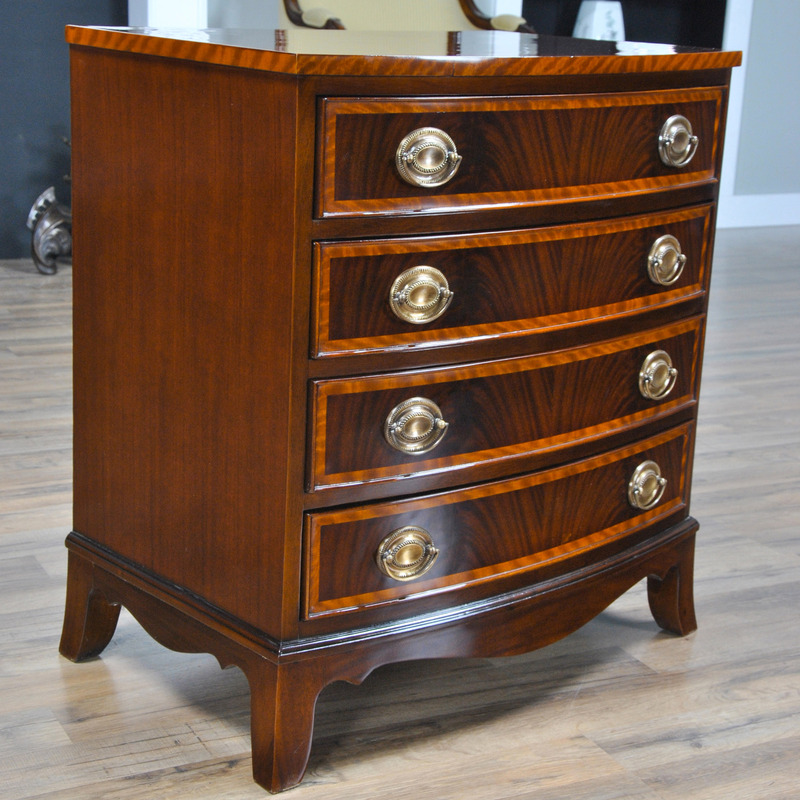 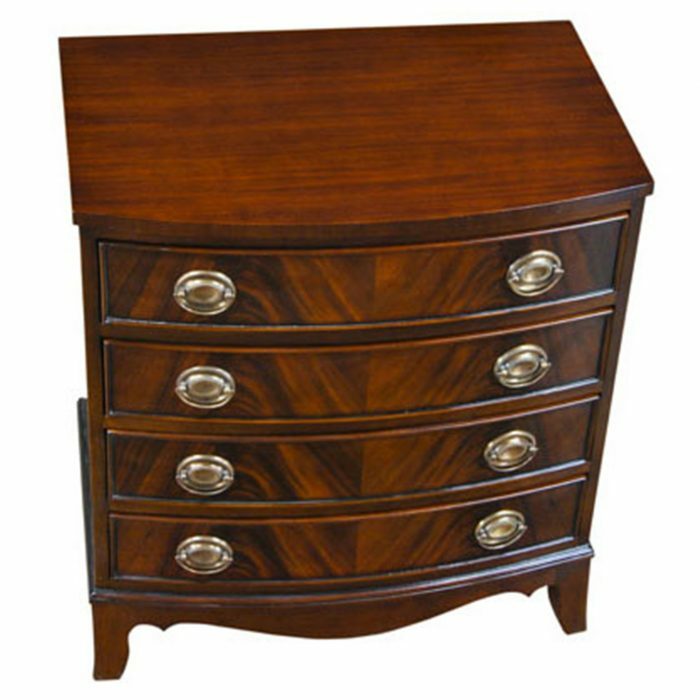 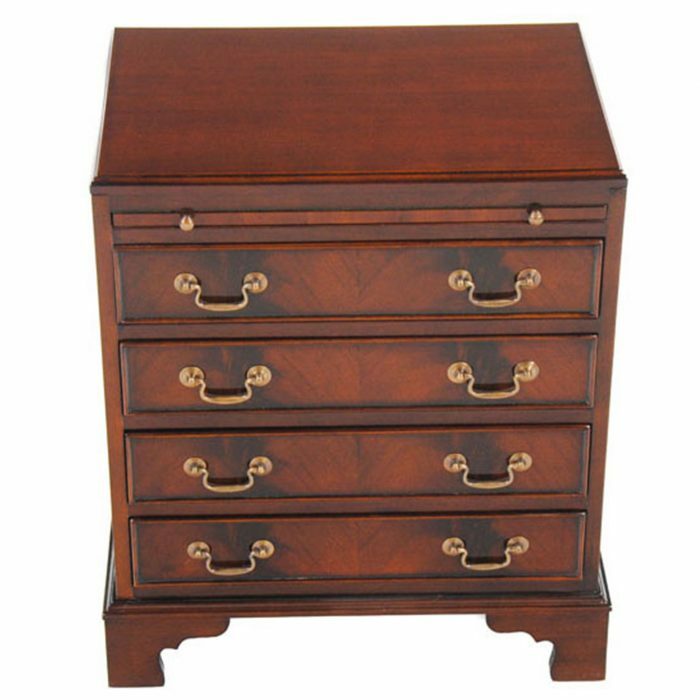 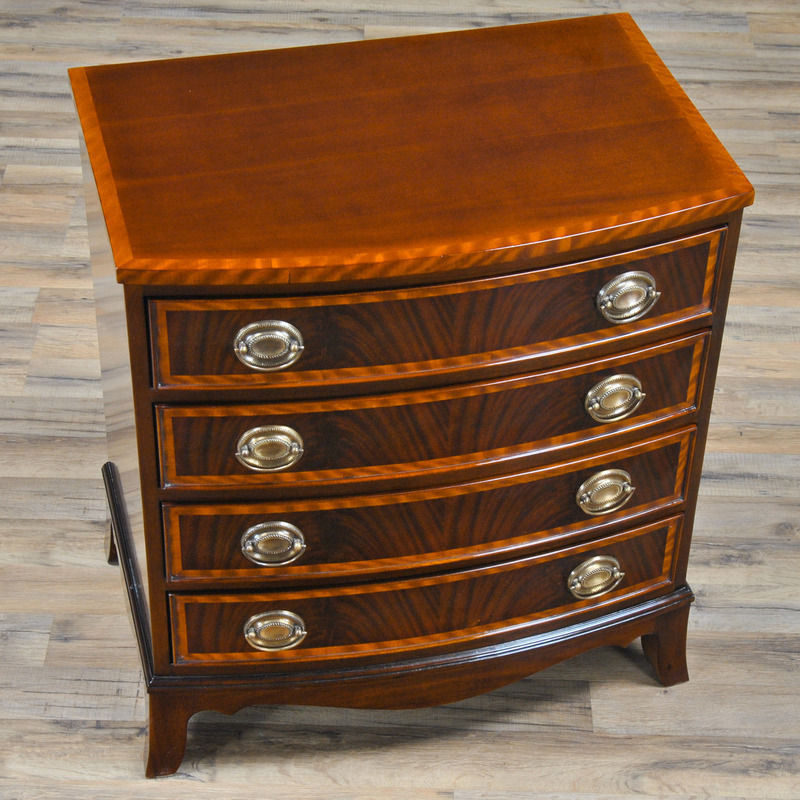 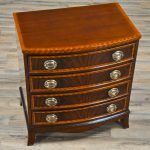 The Banded Mahogany Chest of Drawers has been a favorite item at Niagara Furniture for many years and it is also available as a larger full size chest, please see the “related items” section below for details.